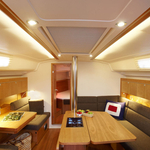 Boat Hanse 415 named H415-1 has been built in 2015. We propose this boat from marina Stockholm around Stockholm. H415-1 is registered for 8 passengers. Layout of the vessel is 8 (6+2). 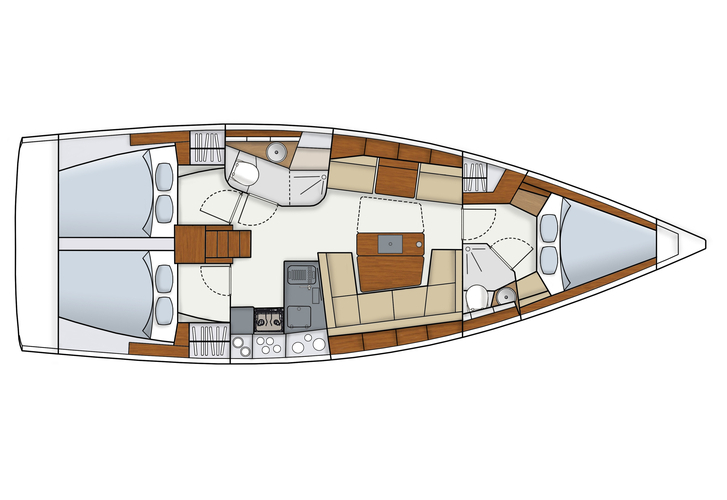 Hanse 415 H415-1 has 3 bedrooms. For guests disposal there are 2 bathrooms. You can fill the tank for fuel with 160.00 l liters and in water container it goes even 520.00 l l. With motor 38 hp Volvo Penta H415-1 can navigate really fast. H415-1 is 11.99 meters long and 4.17 meters wide. Draft is 2.10 meters. Find about more yachts by opening this link here: Yacht charter Stockholm. Sailboat's equipment includes : Gps plotter, Autopilot, Heating, Anchor electric windlass, Mainsail with lazy jack. . Caution is at the level of 2000.00 EUR. 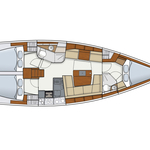 Choose our offer and have good time on the deck of H415-1. This Hanse 415 from Stockholm from Sweden Use this site to find clicking here: Yacht charter Sweden.